#Office365Challenge And yes, it’s possible to select multiple files in SharePoint Online and download as a zip file. Here’s another time saver which will cut out a lot of frustration. 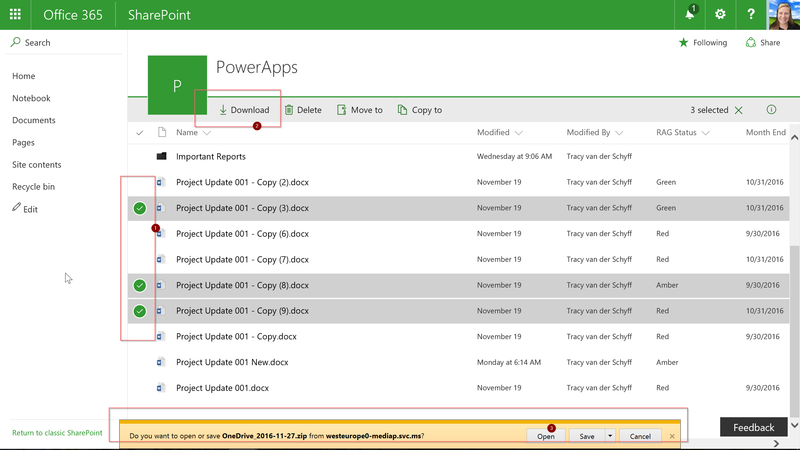 In SharePoint online, you can now select multiple documents and then download them. It will download the doucments in a zip folder in your downloads directory. Hi, so I also had that a couple of times, they’re most probably still refining it. Eventually did work (sometimes the button is not clickable) – please check your browser as well. Hi. I’ll have to test that. Have you got it working yet?